Grab your controllers, the long wait is over. It has been the most anticipated game release this year but finally FIFA 19 has hit the shelves of the north-east high streets. After EA Sports made the announcement back in June, gamers have been waiting anxiously to play as their favourite team and truly become the 12th man. But how do the Dons scrub up on this years Ultimate Team? Gary Mackay-Steven is the top Scot this year. 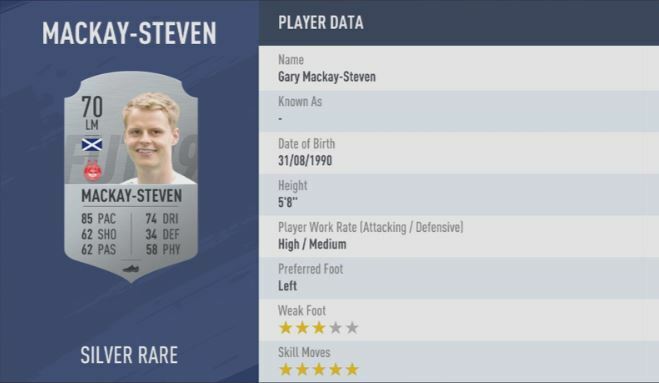 He’s the only Scottish Premiership player to earn himself a top rating with a five star skill capability. 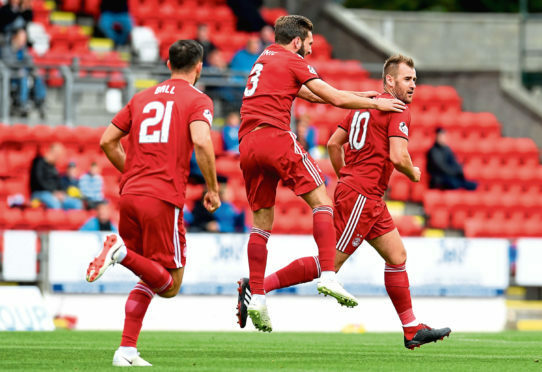 The Aberdeen midfielder, known for his silky step-overs and faints will be happy to know he joins the likes of Ronaldo, Messi and Neymar with this special trait. The only English-born player to join him is Jadon Sancho. The 18-year-old isn’t much of a household name with the winger ploughing his trade in the Bundesliga for Borussia Dortmund. The Dons are sporting 14 silver rated players and four bronze – but it’s Graeme Shinnie that shines overall. The Aberdeen captain pulls in an overall rating of 74 with the potential of 75. With a high level of stamina, acceleration and mental stamina it’s no surprise the skipper acquires leadership traits. 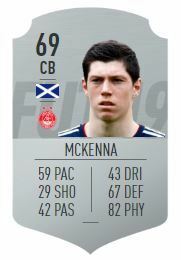 Scott McKenna has proven himself the talisman in defence this year with an overall rating of 69. He makes the upgrade from a bronze card to a silver – notably in his physicality stats jumping from 60 to 82. The centre back can hustle a number of star performers off the ball such as FIFA Men’s player of the year Luka Modric, Bayern Munich’s Mats Hummels and the Argentine Mauro Icardi all supporting lower physical stats. 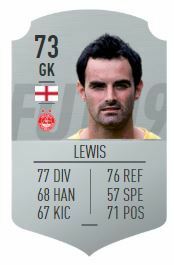 In goal stands Joe Lewis. Making a small improvement – Lewis has a rating of 73, one more than last year. This shot stopper will let very little if nothing past him with the best diving stats of a goalkeeper in the Scottish Premiership with 77. Celtic’s Craig Gordon comes second in line with a diving total of 74 and Rangers’ Allan McGregor with 72. 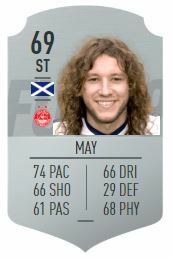 Safe to say, Stevie May supports the best haircut of the team – although word on the street is he’s tidied it up recently. The old enemy Pro Evolution Soccer, or as many people know it as PES, have obtained the full licenses to the Scottish Premiership this time round. This has meant a number of faces fail to make it off the bench and into FIFA 19 gameplay. The biggest star missing out on Ultimate Team is Shay Logan. Despite playing in front of the Pittodrie fans since 2014, the Dons defender has not been featured in the game since FIFA 17. Also missing out on the team sheet is Andy Considine, Max Lowe, Bruce Anderson, Scott Wright, Frank Ross and Dean Campbell. FIFA 19 is expected to be the most successful rendition of the football simulation video game yet. With the inclusion of the UEFA Champions League for the very first time after snatching the rights from PES and a vast choice of teams and leagues to choose from, it’s safe to say FIFA is king.